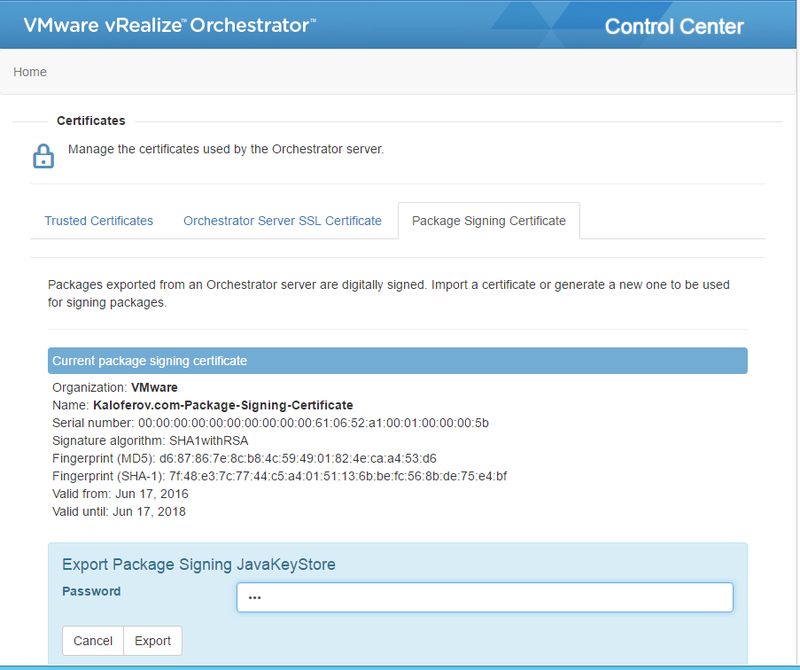 In this post we will take a look how we can change the Package Signing Certificate (PSC) in vRealize Orchestrator (vRO) appliance. 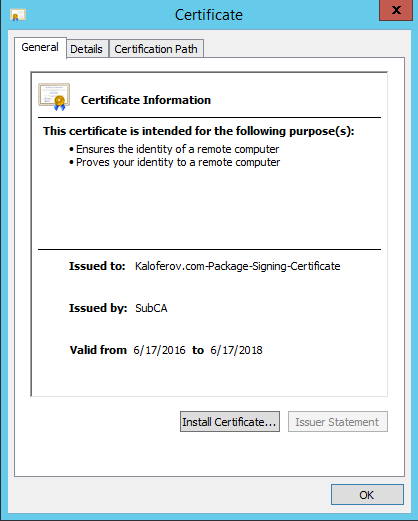 12/02/2016 – Added chapters "Importing Digitally Signed Packages to a Different Destination vRO Server" and "Backing up your PSC certificate and Private Key"
Issue a certificate to meet the company’s requirement. 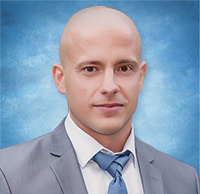 The certificate must have the DigitalSignature and Key_Encipherment Key Usage attributes. It must also have the Server Authentication Extended Key Usage attribute. Ensure the certificate has a private key. Use the keytool to import the certificate into the keystore. Use the Control Center interface to import the keystore you created. Here is a screenshot of the original PSC certificate. First think you must obtain is a PFX certificate package containing you PSC certificate. I already have this certificate issued from my CA. 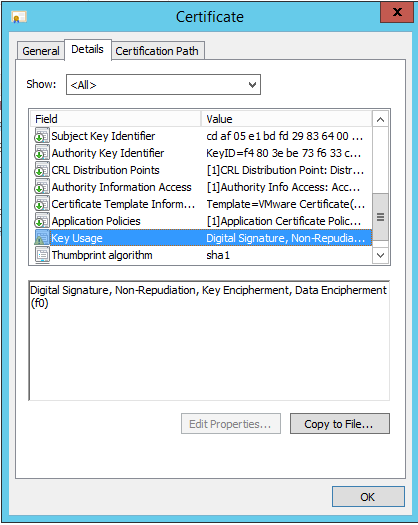 Note that the certificate must have the DigitalSignature and Key_Encipherment Key Usage attributes as shown above. It must also have the Server Authentication Extended Key Usage attribute. Copy the PFX certificate package to any linux appliance. We will use the openssl tool there to execute few commands. keytool -importkeystore -srckeystore "/etc/vco/app-server/security/rui.pfx" -srcstoretype pkcs12 -srcstorepass "dunesdunes" -deststoretype jceks -destkeystore "/etc/vco/app-server/security/psckeystore" -deststorepass "dunesdunes"
keytool -changealias -alias rui -destalias _dunesrsa_alias_ -keystore "/etc/vco/app-server/security/psckeystore" -storetype jceks -storepass "dunesdunes"
keytool -genseckey -alias _dunessk_alias_ -keyalg DES -keysize 56 -keypass "dunesdunes" -storetype jceks -keystore "/etc/vco/app-server/security/psckeystore" -storepass "dunesdunes"
In the above command I’ve used the DES algorithm and 56 key size , but you may as well use 3DES (DESese) algorithm and 168 key size. keytool -list -storetype jceks -keystore "/etc/vco/app-server/security/psckeystore"
Copy the keystoere file to your Windows machine. 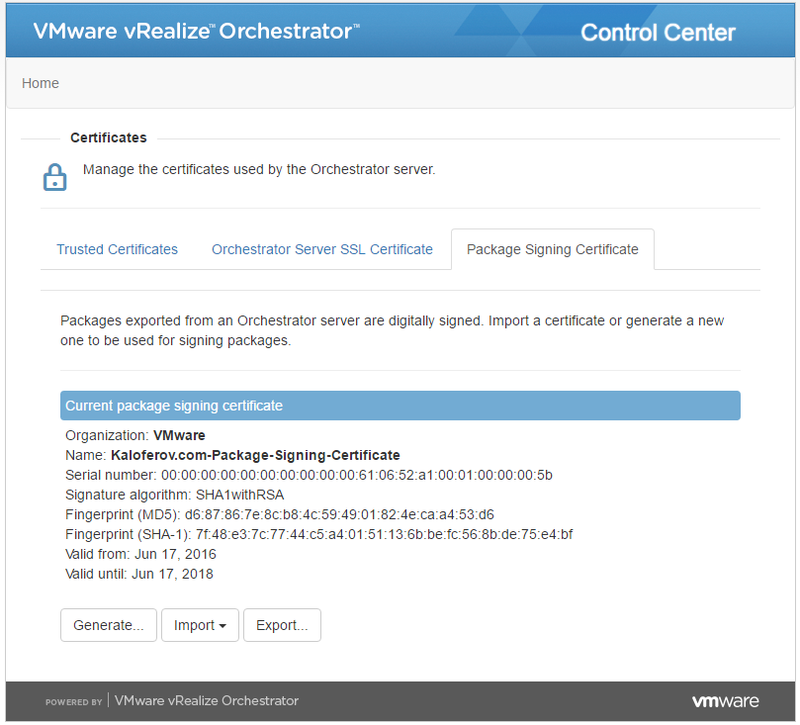 Open Control Center and navigate to Certificates > Package Signing Certificate. Click Import > Import from JavaKeyStore file. Browse the keystore file and enter the password. Click Import to import the certificate. 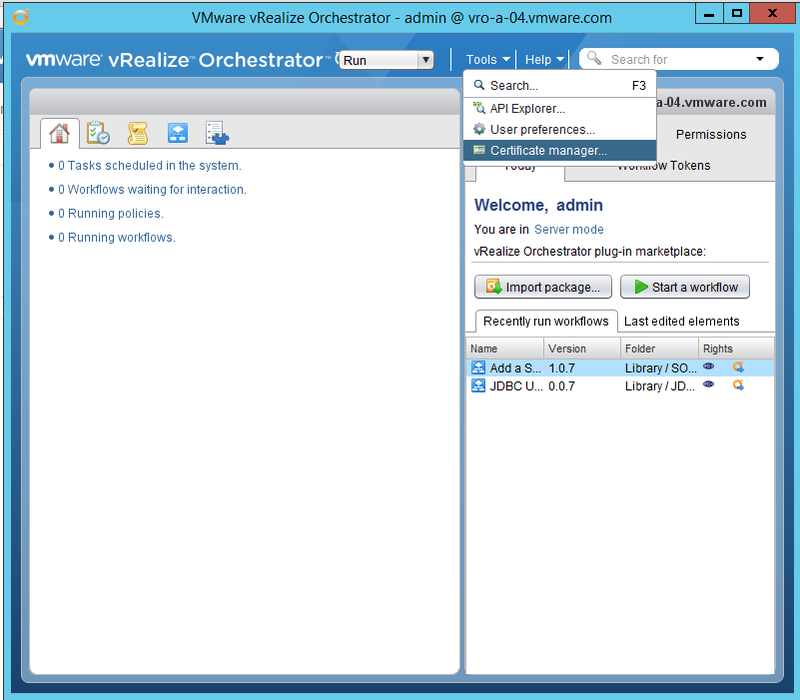 Go to Startup Options and restart the Orchestrator service. 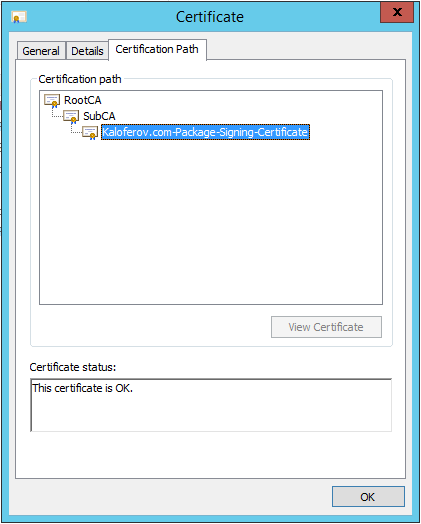 Navigate back to Certificates > Package Signing Certificate. You should see the new certificate shown. 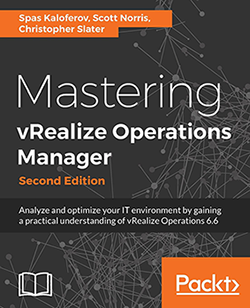 Open your vRO Client and navigate to Tools > Certificate Manager. Under Known Certificates you may click Import certificate to import your certificate chain. 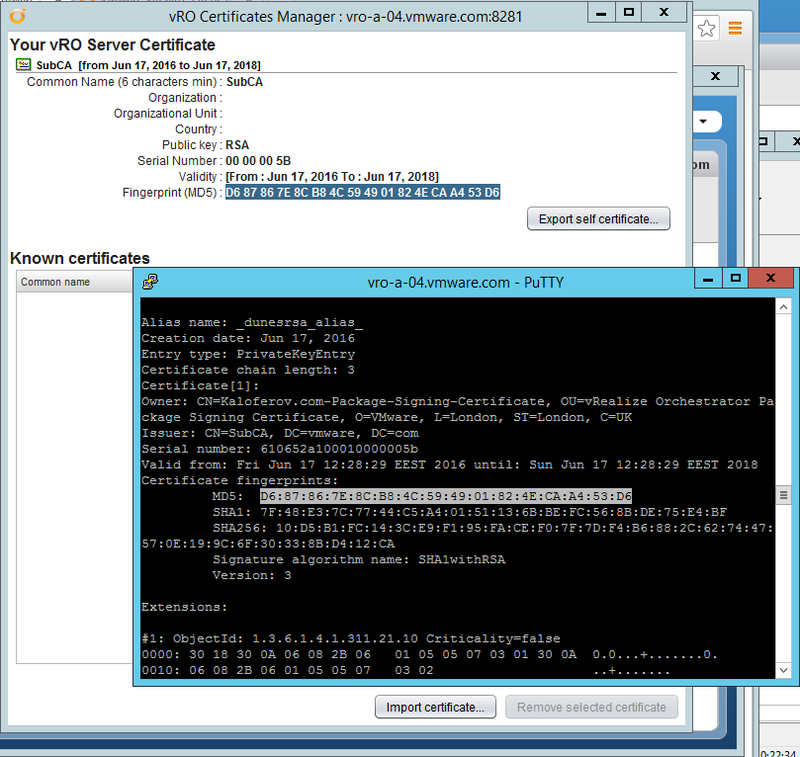 What we did in the previous changer was to change the PSC certificate on a vRO server to match our company requirements. The certificate will be used to digitally sign packages which we export from vRO. If digitally signed workflow packages will only be imported back to the original vRO from which they were exported, no further steps are required. If digitally signed workflow packages will be imported on a destination vRO different from the one from which they were exported, additional configuration steps are required on the destination vRO. Signature length not correct: got 256 but was expecting 512. So, lets take a look at what needs to be done on vRO ServerB in order to be able to successfully import digitally signed workflow packages. 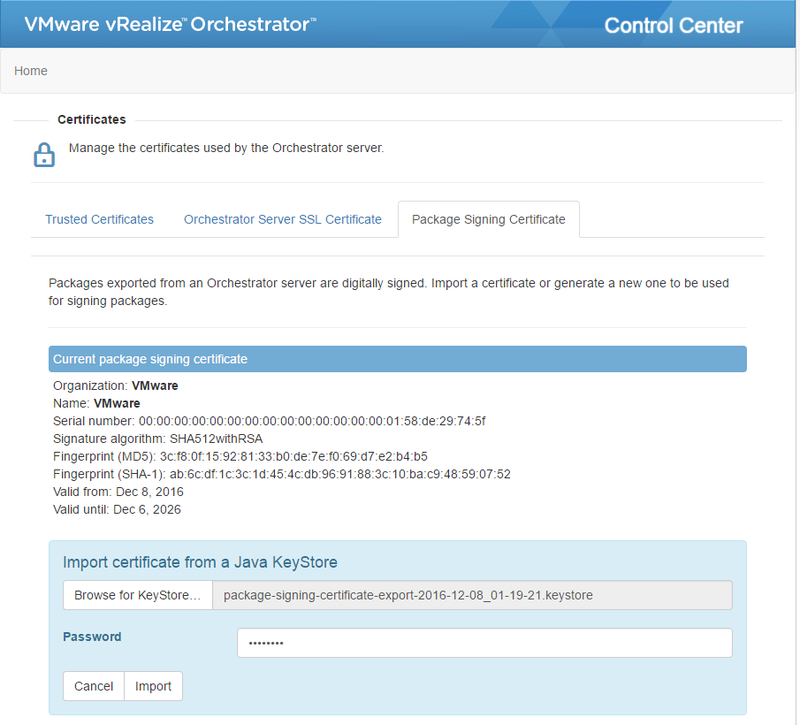 First you need to export the entire keystore containing the PSC certificate from vRO ServerA. 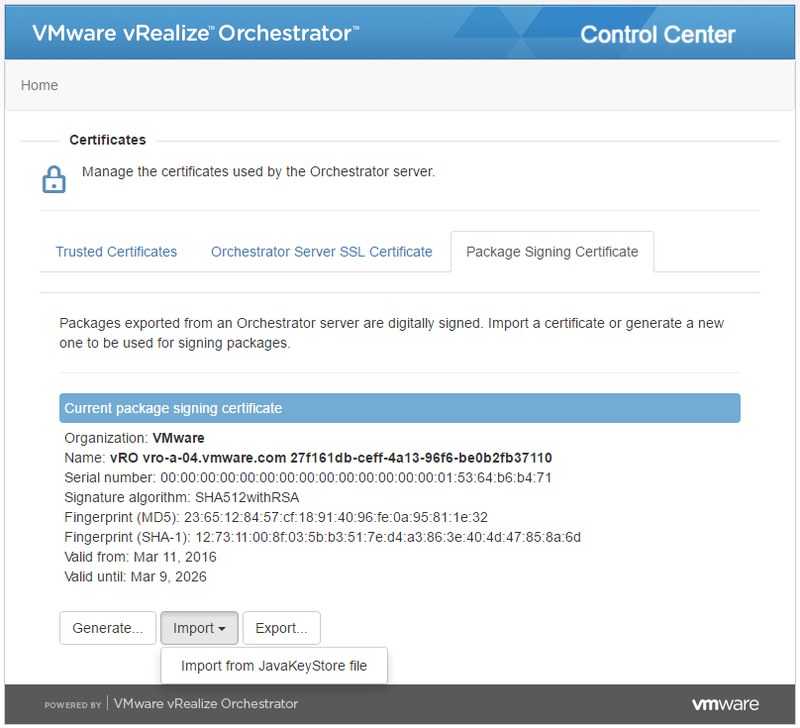 To do this navigate to vRO Control Center, Certificates, and select Package Signing Certificate. Click Export, type a password and export the keystore to a file. 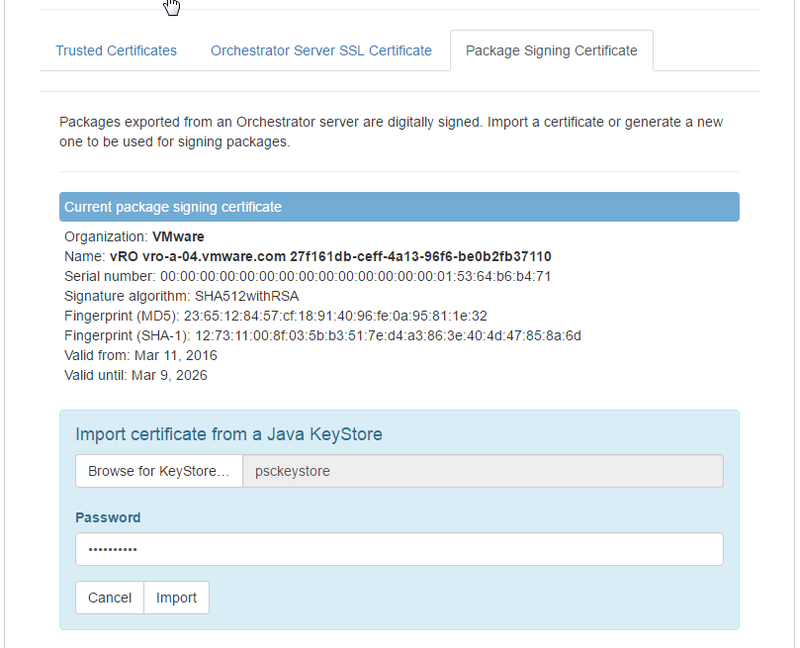 On vRO ServerB import the keystore containing the PSC certificate from vRO ServerA. 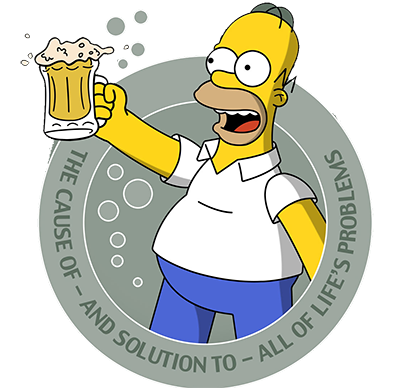 Click Import, Import from JavaKeyStore file. The Orchestrator server must be restarted for the changes to take effect! Now both vRO ServerA and vRO ServerB possess the same PSC including the secret key/private key needed to encrypt and decrypt digitally signed workflow packages. vRO Package Signing Certificate Keystore file. This entry was posted in SSL, VMware, vRO and tagged certificate, keystore, orcehstrator, package signing certificate, psc, SKKB1029, SSL, vco, vro. Bookmark the permalink.